Dorothy Mae Frankart, 99, of Fostoria, passed away at 10:45 am Tuesday February 5, 2019 at Good Shepherd Home, Fostoria. She was born October 12, 1919 in New Riegel to the late Charles E. and Rose (Fox) Collet. She married Paul M. Frankart on August 5, 1944 at Our Lady of Consolation, Carey and he died January 14, 2006. Surviving are two sons, Kenneth M. (Janet) Frankart, Bascom and Joseph H. (Kathleen) Frankart, Bascom; two daughters, Virginia L. (Kenneth) Ekleberry, Findlay and Irene F. (Tom) Putnam, Findlay; 14 grandchildren; 18 great-grandchildren; daughter-in-law, Dorothy Frankart-Nagle, Bascom; and sister, Louise (Florian) Podach, Fostoria. She was preceded in death by a son, Michael E. Frankart; brothers, Walter, Clarence and Eugene Collet; and a sister, Margaret Welly. Dorothy was a homemaker, had worked at Auto-Lite Spark Plug, Fostoria and also with her husband Paul on the family farm. She was a member of St. Wendelin Catholic Church, its Rosary-Altar Society, Memorial Choir and served as a Eucharistic Minister. 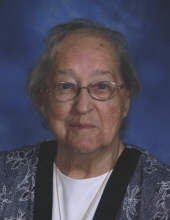 She was also a member of the Catholic Ladies of Columbia, 55 plus, Seneca County Farm Bureau, Tiffin, Knights of Columbus Ladies Auxiliary, Fostoria, Catholic Foresters, New Riegel, Secular Franciscans Third Order of St. Francis, longtime supporter of the Bascom Fireman’s Festival and had been an actively committed worker of the Fostoria Sharing Kitchen. She and her husband Paul made over 56,000 rosaries, which were delivered worldwide for prayer. Visitation is Sunday February 10, 2019 from 2-5 & 6-8 pm at HOENING & SON FUNERAL HOME 133 W. Tiffin St., Fostoria where a Christian Wake Service will take place at 7:30 pm. Mass of Christian Burial is 10:30 am Monday at St. Wendelin Catholic Church with Rev. Todd Dominique presiding. A rosary will be prayed at 10 am at the church. Burial will follow in St. Wendelin Cemetery. A funeral luncheon will then be served at the parish hall. In lieu of flowers, memorials are suggested to the Fostoria Sharing Kitchen, St. Wendelin Memorial Choir or a charity of the family’s choice. To send flowers or a remembrance gift to the family of Dorothy Mae Frankart, please visit our Tribute Store. "Email Address" would like to share the life celebration of Dorothy Mae Frankart. Click on the "link" to go to share a favorite memory or leave a condolence message for the family.